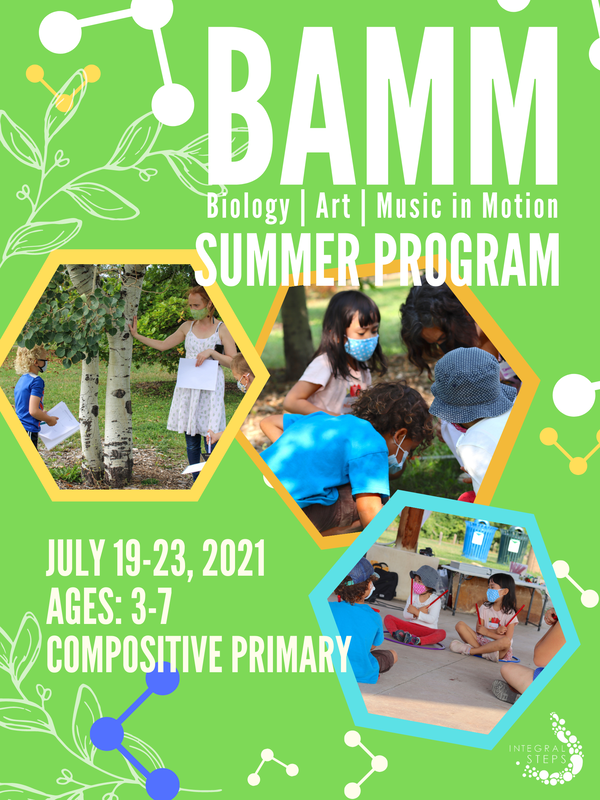 5 - 8 years: B.A.M.M. - Integral Steps, an integrative education non-profit supporting the balanced development of individuals, families and communities, through music, movement, psychotherapy, ecology and creative arts! Colorado and Portland based! Is your child inquisitive about the world around them? Inspire them with a rich integration of biology, art, music, and movement. Themes are introduced kinesthetically through music and movement, deepened through science, & expressed through the arts. ​At the end of each session, celebrate with a musical finale and science & arts fair for parents, friends & families! Inspire your children with a rich integration of biology, art, music, and movement using Dalcroze Education. In each class, a theme is introduced through music and movement, explored through science, and expressed through the arts. Curriculum provided by the Dalcroze School of the Rockies! This class runs in conjunction with Dalcroze curriculum at the Louisville Recreation Center in a Full-Year format. The short, 6-week sessions can be registered for through the Louisville Recreation Center. 602 Center Dr., Suite E.
Register for the full year course!